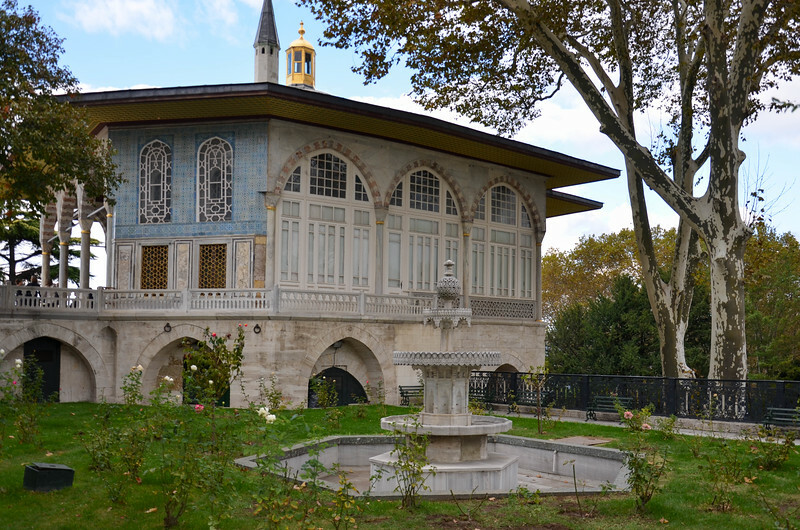 Topkapi Palace fountain and plaza. 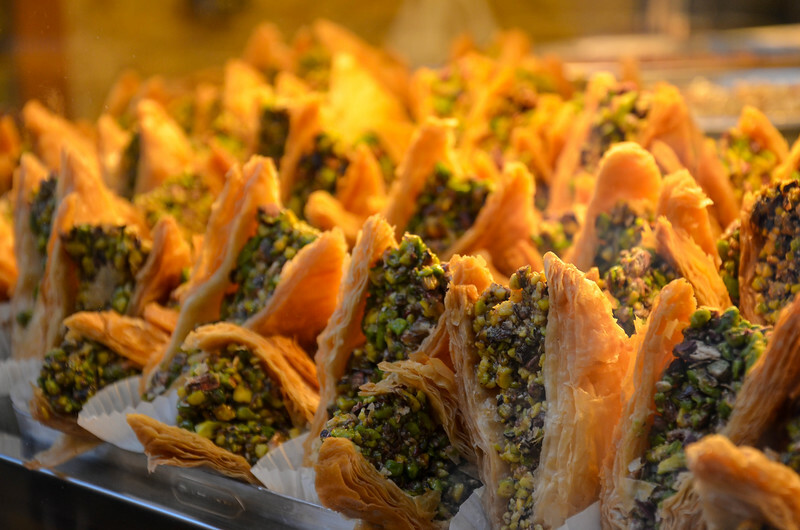 Baklava for sale in the Egyptian Bazaar (Spice Market). 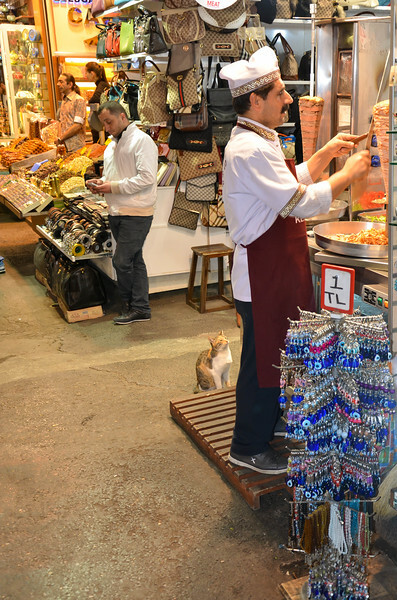 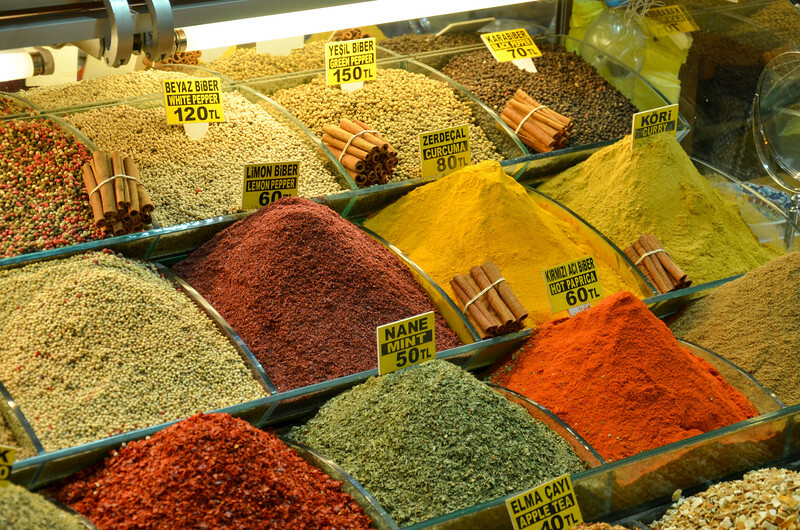 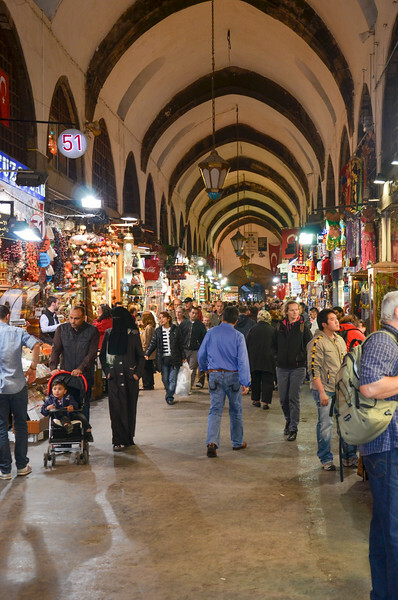 A cat begs for meat off the shawarma inside the Eyptian Bazaar (Spice Market). 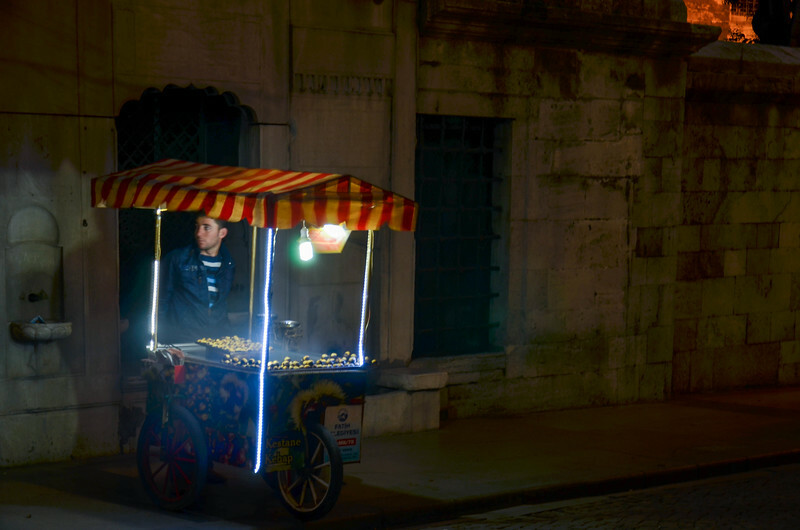 Roasted chestnut cart in Sultanahmet at night. 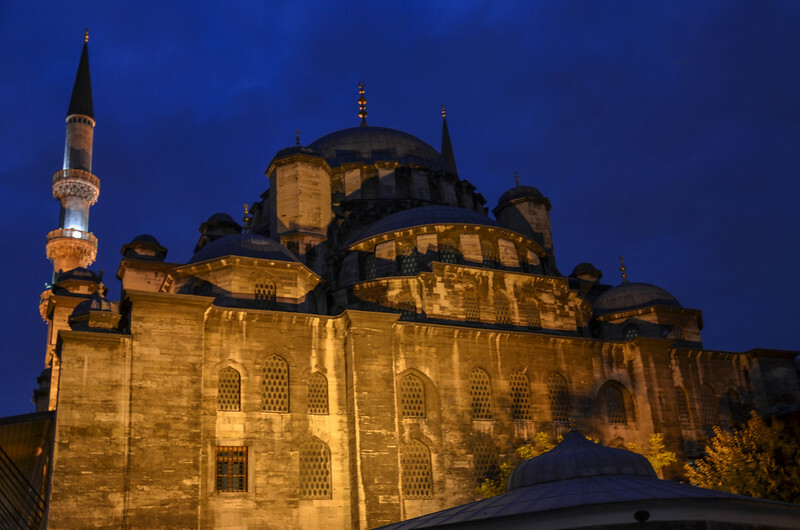 One of the many mosques in Sultanahmet at night. 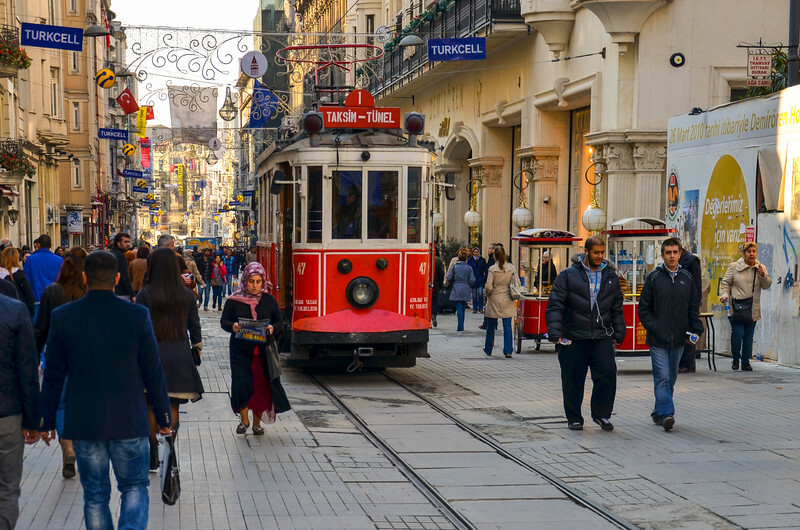 HIstoric streetcar on Istakal Street in Istanbul. 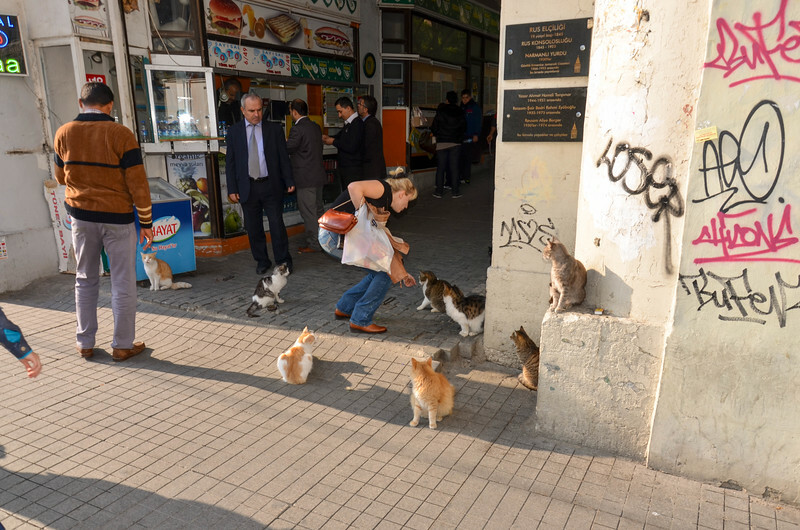 Cats in the Galata neighborhood, Istanbul. 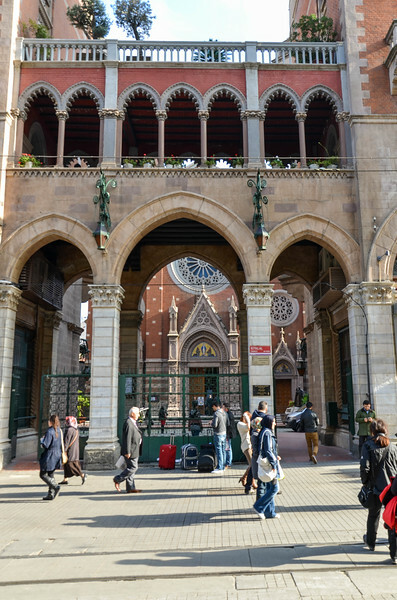 One of the few churches we saw in Istanbul. 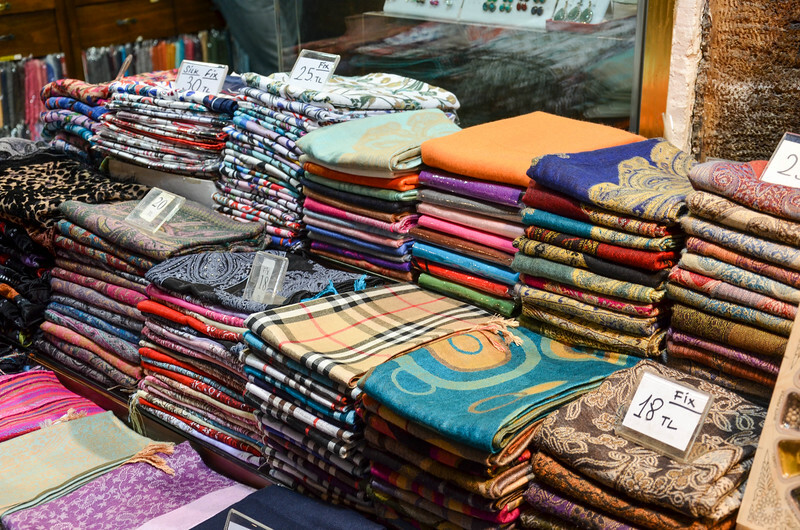 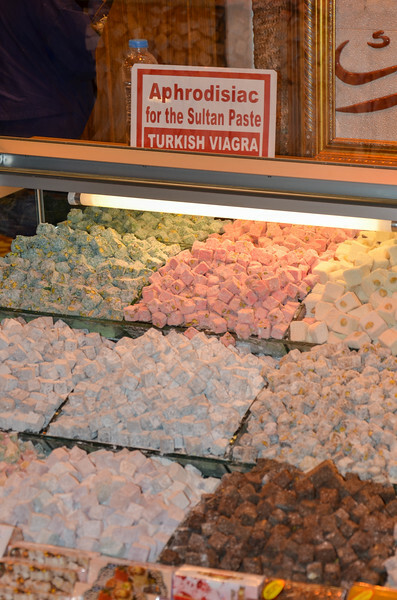 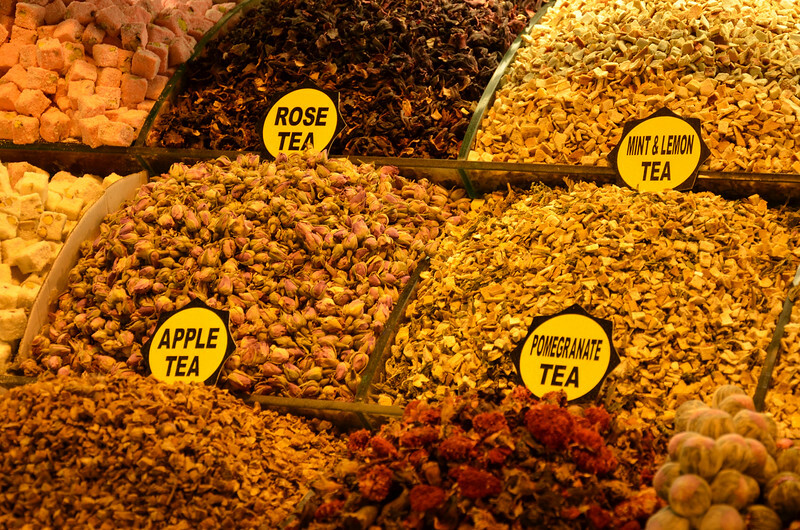 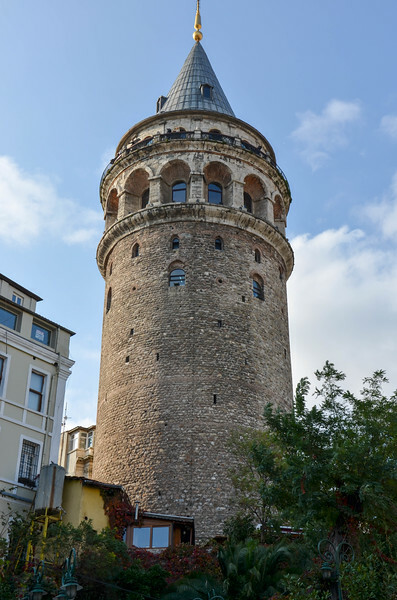 This one was located on Istakal Street in the Galata neighborhood. 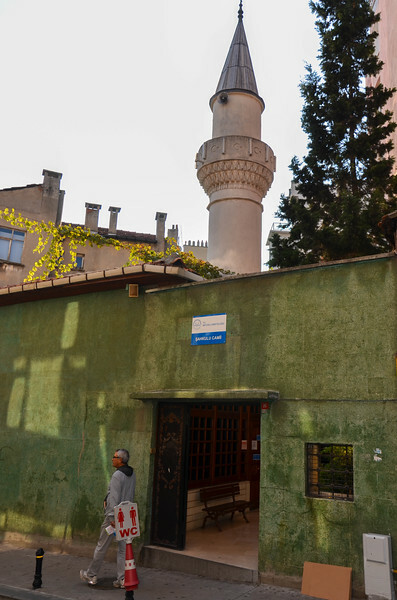 A small mosque in Istanbul's Galata neighborhood. 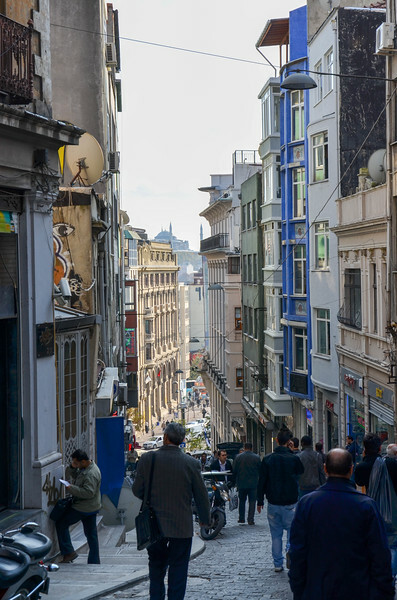 Walking down the steep hill in Galata to the Galata Bridge and Golden Horn. 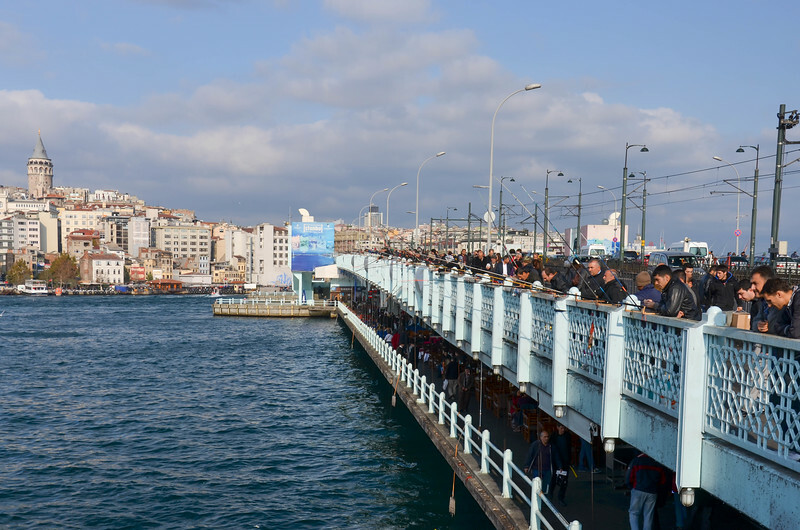 Fishermen on the Galata Bridge in Istanbul. 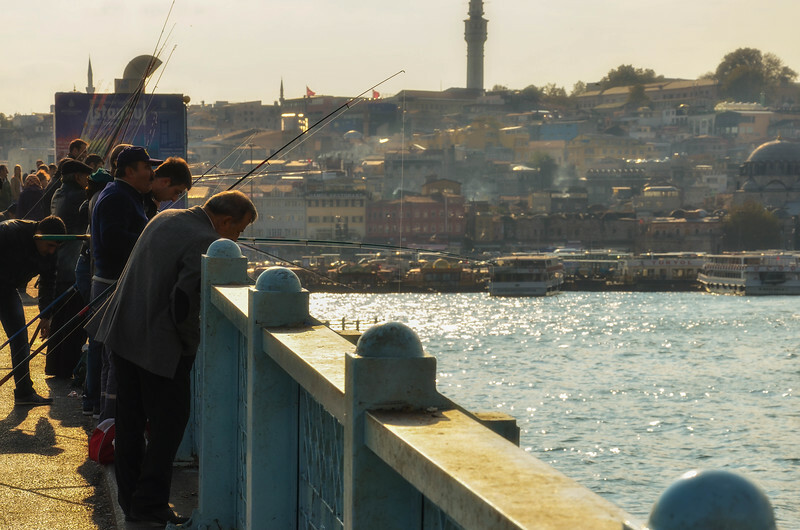 A fisherman on the shore of the Golden Horn near the Galata Bridge, Istanbul. 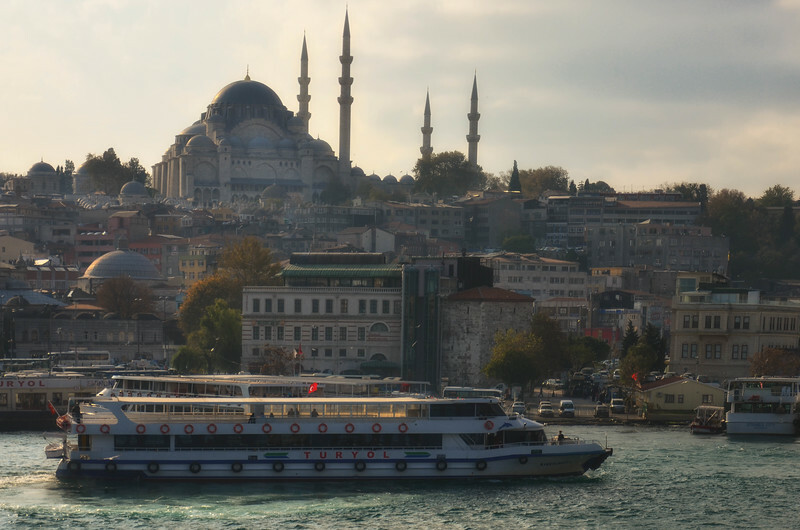 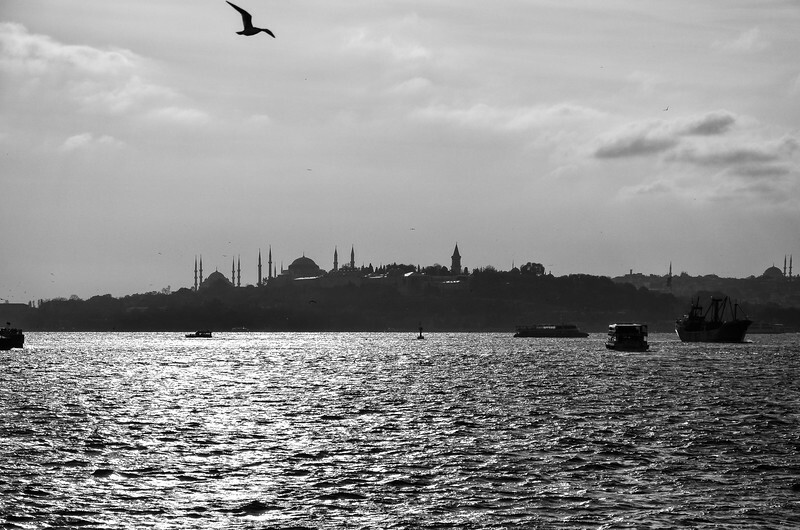 A ferry on the Golden Horn in Istanbul. 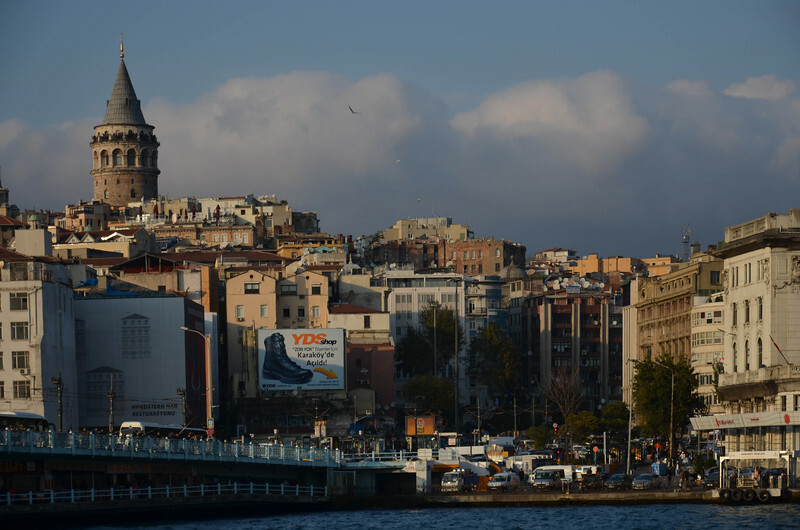 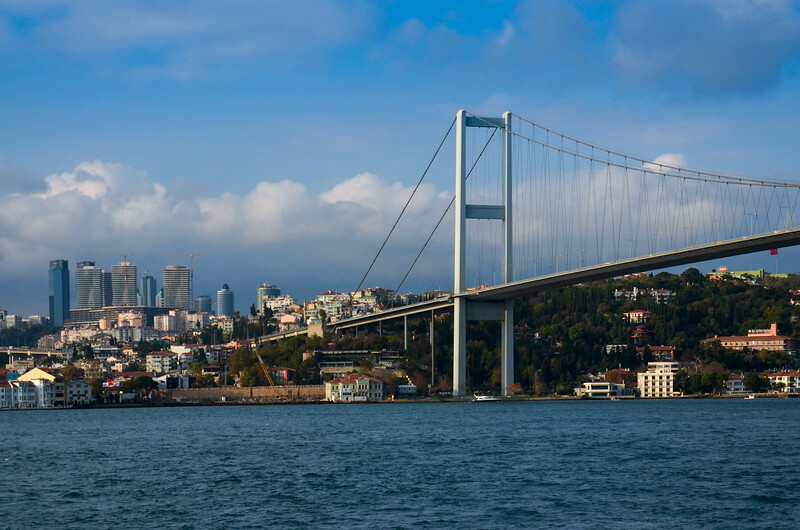 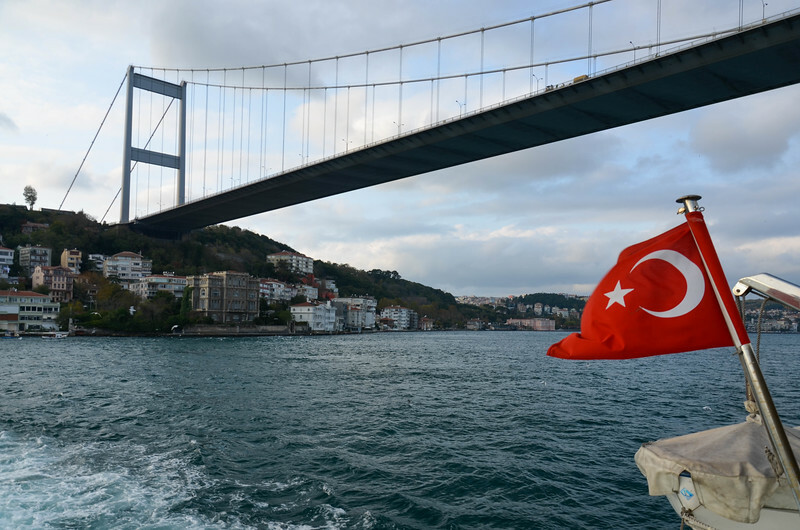 The Galata Bridge spanning the Golden Horn, with the Galata Tower in the background. 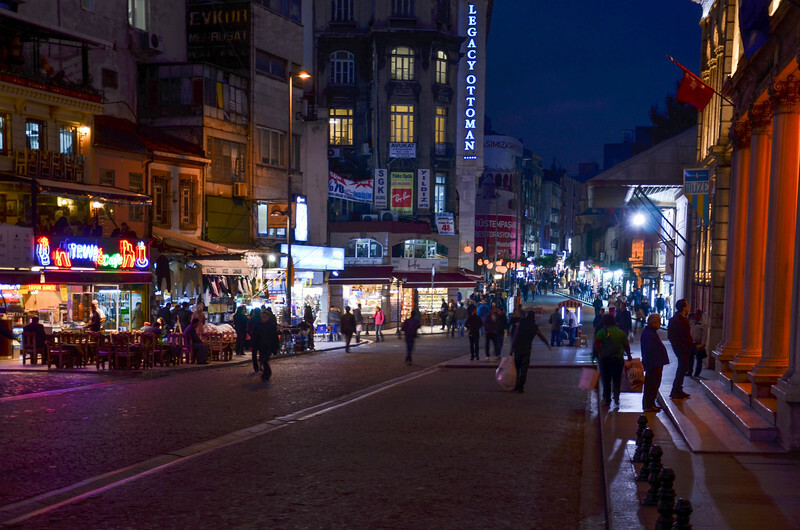 The bridge's lower level is lined with restaurants and shops. 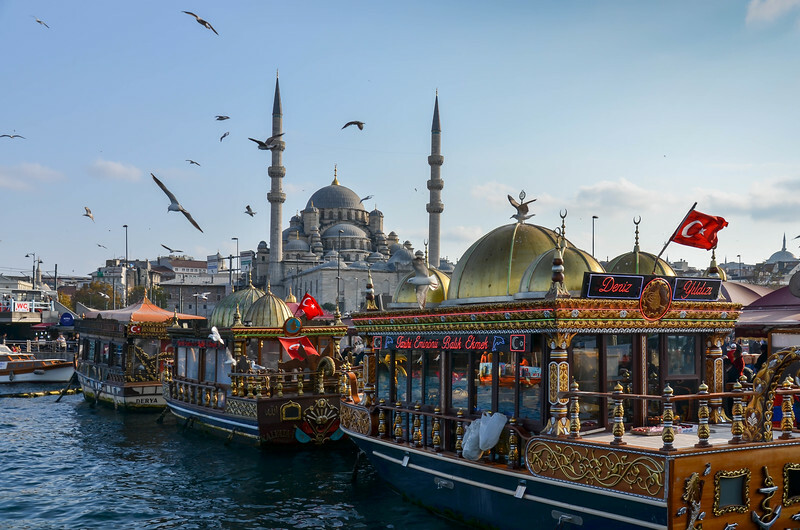 Floating restaurants at the docks in Eminonu, Istanbul. 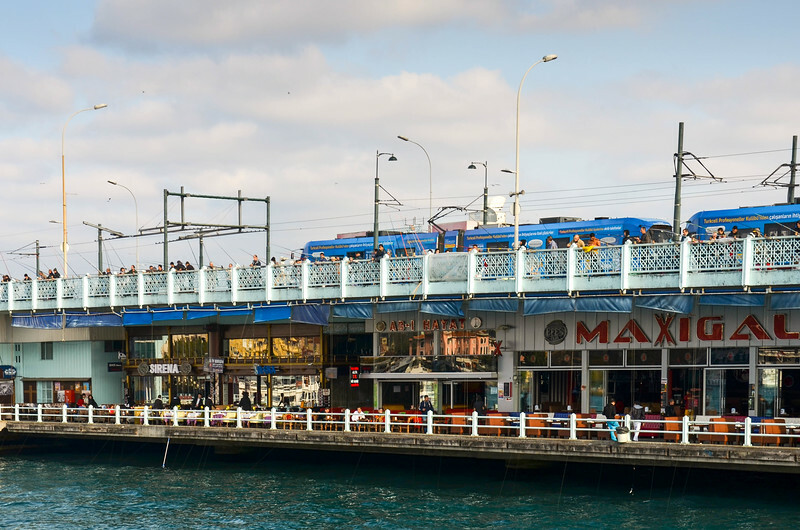 The Galata Bridge, with its lower level restaurants. 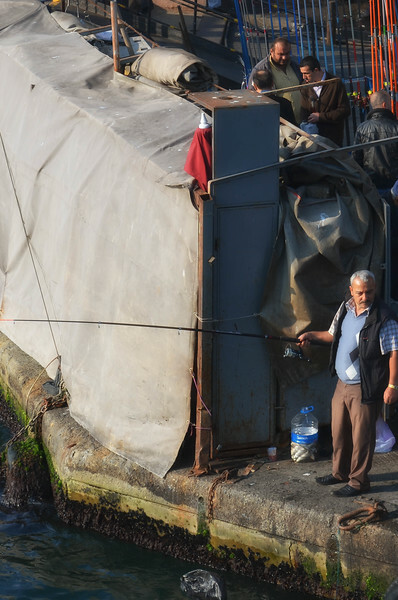 A fisherman and his catch on the Galata Bridge over the Golden Horn. 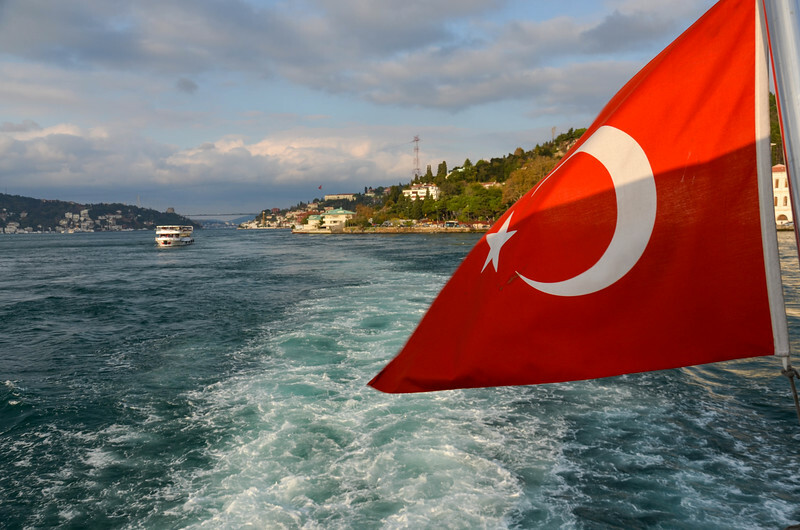 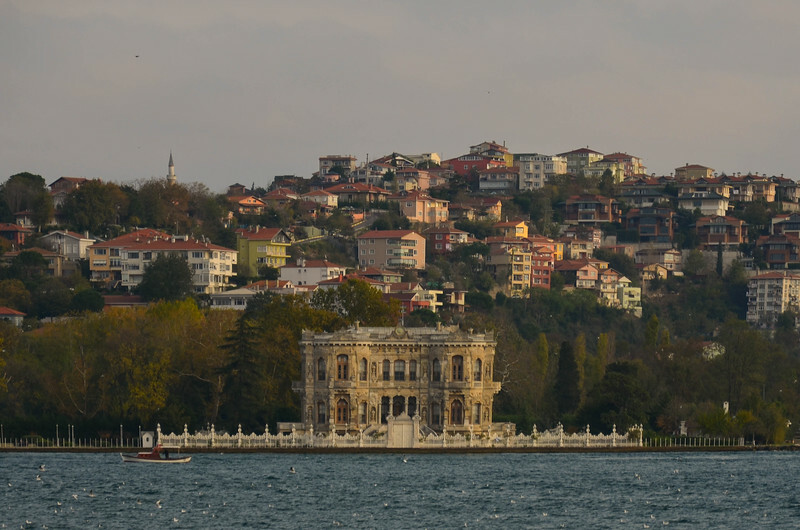 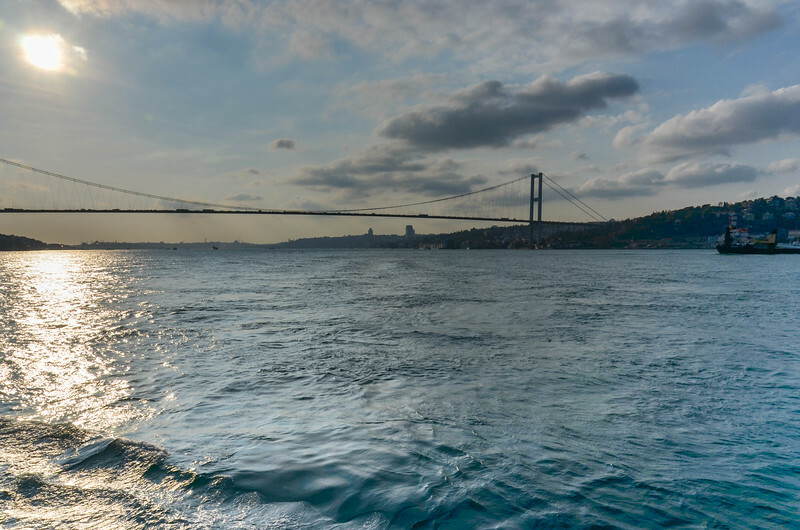 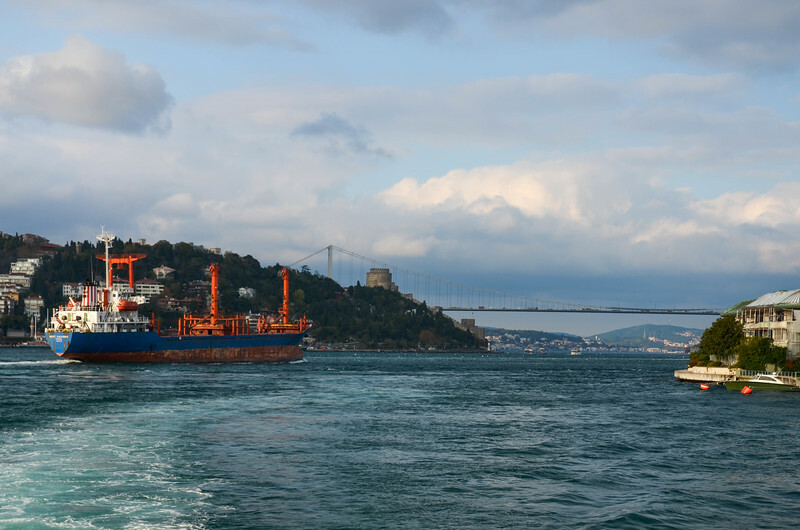 Bosphorus tour by ferry boat. 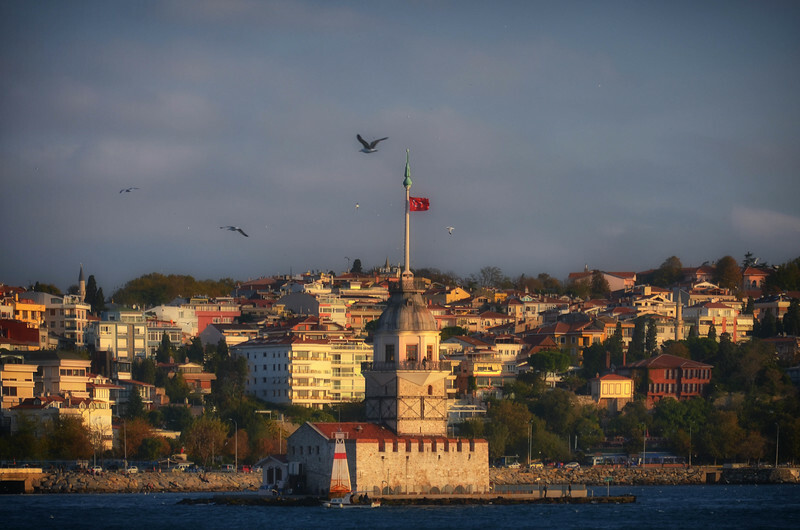 The Maiden's Tower in the Bosphorus. 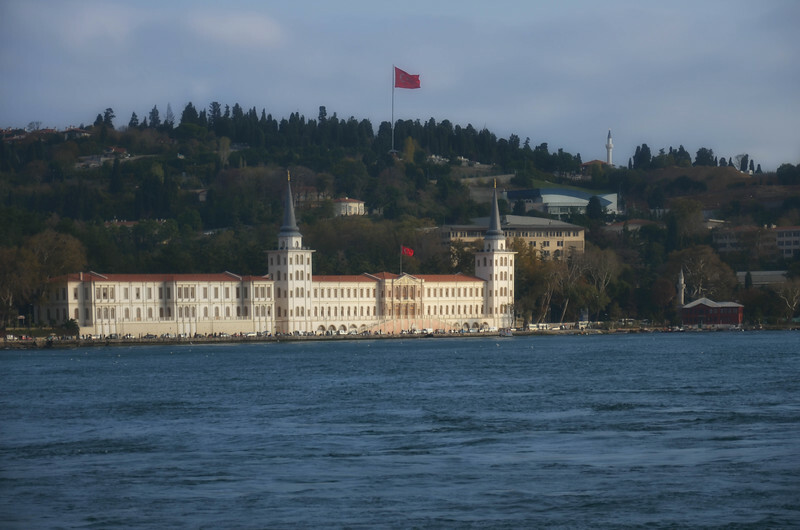 Our ferry enters the Golden Horn as we return to port. 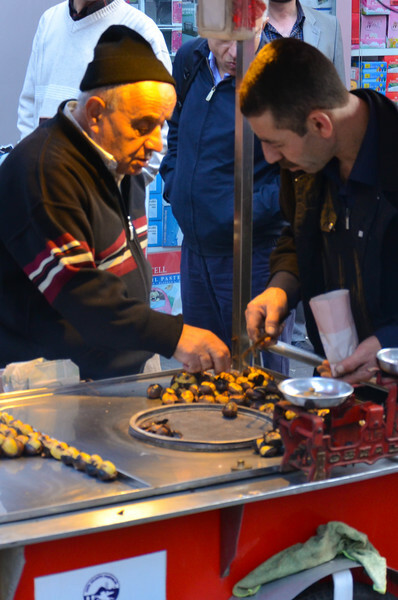 A chestnut vendor on the street in Istanbul.